The cemetery was founded by Commonwealth troops in March and April 1915. 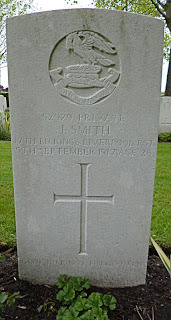 It was then disused, except for one 1917 burial, until October 1918. The cemetery was founded under the name "Cheapside Cemetery" by the Suffolk Regiment. 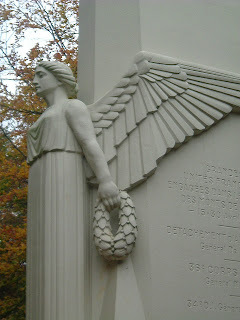 The October 1918 burials were of soldiers from the York and Lancaster Regiment who had been killed the previous April. There are now 48 buried here. 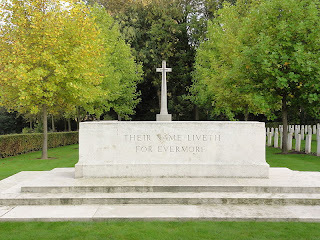 The cemetery was designed by J R Truelove who also worked on the Tyne Cot memorial to the missing. The cemetery was founded in February 1915 by the Royal Scots and Middlesex Regiments in the garden of the original Godezonne Farm and was used again in 1916 for three more burials and again after the Armistice to concentrate battlefield burials from the north and the east. The cemetery was started in February 1915, formed from eight regimental burial grounds. 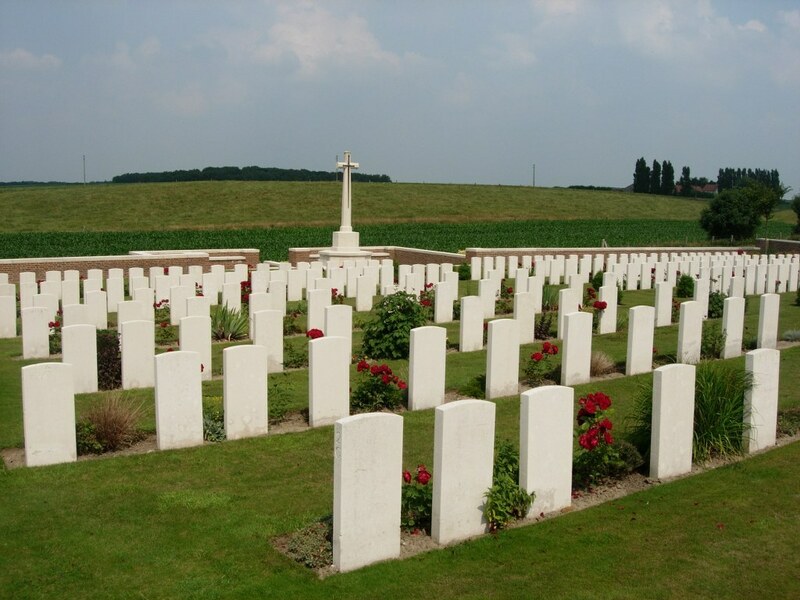 The graves are of individual soldiers killed holding the line of the trenches during the long stalemate of the front and the new forward line after the Battle of Messines. The name itself comes from the brewery opposite the road. The name of the cemetery is actually misspelt on the stone. 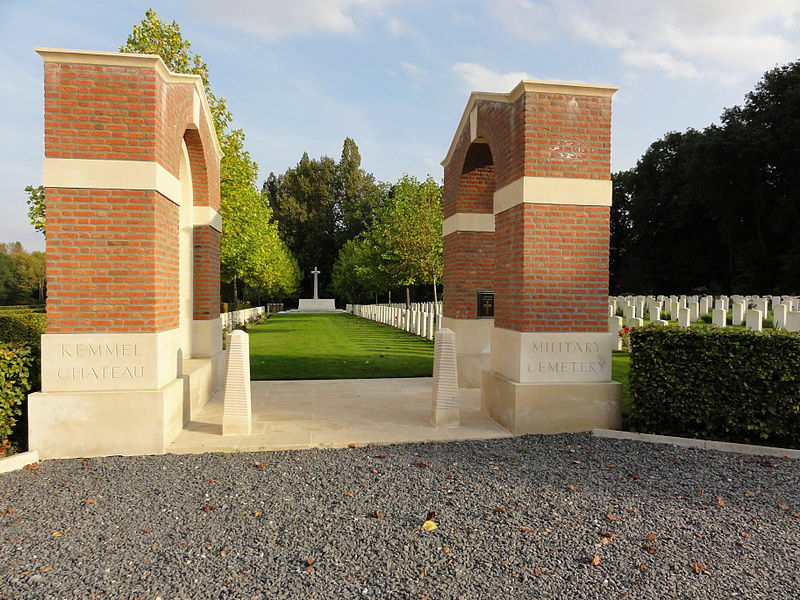 The cemetery is located in Voormezeele, West Flanders, Belgium, in the Ypres Salient of the Western Front and was established in May 1915 for front line troops defending the area. 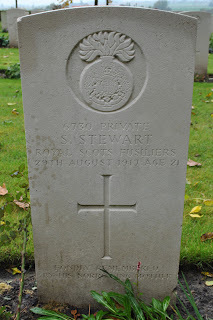 The cemetery was used by the Royal Irish Rifles, the Durham Light Infantry and Canadian battalions. The cemetery is in a dip behind a ridge that was the site of a wood. In the Spring Offensive of 1918, German forces pushed the front line on to the ridge, being moved back in July, before being swept away completely later in the year during the Hundred Days Offensive by the 6th and 33rd Divisions. Of the 621 burials at the site, 292 are from Canada, 280 from the United Kingdom, 44 from Australia and 3 from New Zealand, in addition to two from Germany. The cemetery previously contained graves of a number of French soldiers, but these were concentrated elsewhere later. 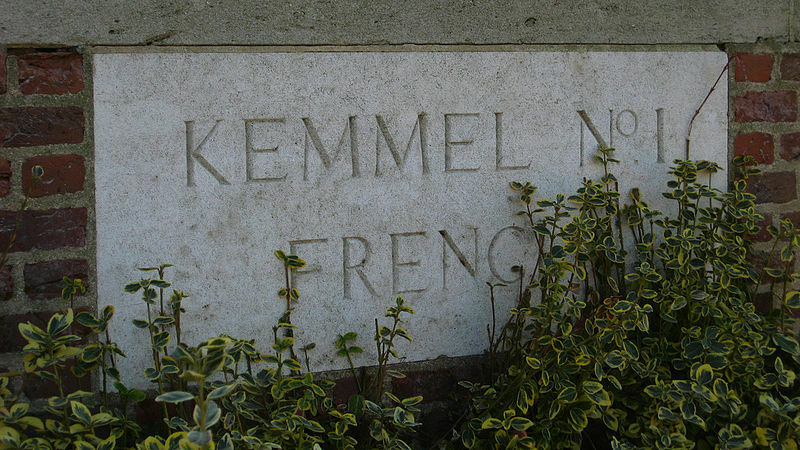 This military cemetery is about five miles west of Ypres from the Kemmelseweg (N331) connecting Ypres to Kemmel. 67 of the 315 here are unidentified. 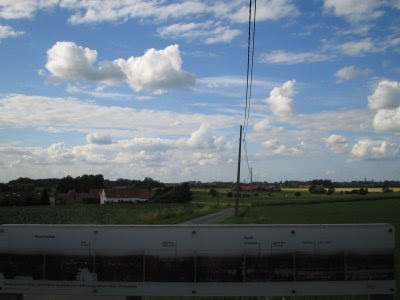 After getting directions from the Tourist office in Heuvelland, I turned left at the roundabout on the Kemmelseweg (N331) and went north towards Ypres. About seven kilometres south of Ypres is this cemetery, final resting place for 751 Commonwealth servicemen, of whom 571 are identified. 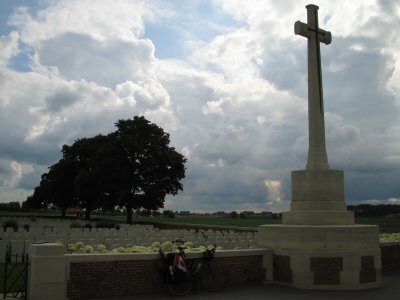 The cemetery had been named after a dairy farm and was begun in November 1914 and used until October 1918 by units holding this sector of the front. This large white Rocheret stone monument set up in 1929 commemorates the 27th and 30th American Divisions who fought in August and September 1918. 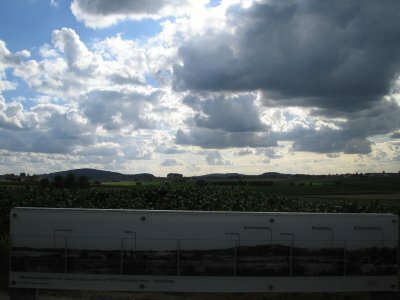 Around 1,300 from the 27th Division and 800 from the 30th Division died during this engagement, and the monument stands in the middle of the area fought over. Near the approaching American memorial seen on the left side of the road is this Demarcation stone surmounted by a French helmet. 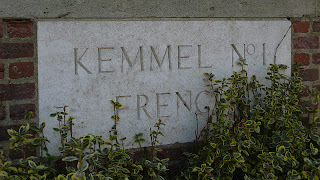 One can still faintly read the legend Kemmel. 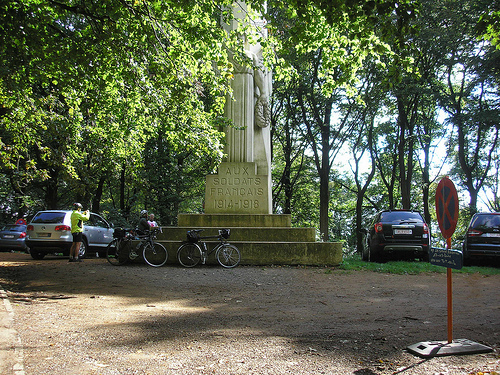 On top is this French memorial, the Mémorial aux Soldats Français 1914-1918, which commemorates those French units engaged in the Battles for Mont Kemmel between 15 and 30 April 1918. This 16 metre high French monument shows Nike, the goddess of victory, looking out towards the area where the French fought. It was unveiled in 1932 by Pétain. On 25 April 1918 a single French Division, which had only taken over the position a week beforehand, found itself opposed by three and a half German Divisions. An hour of furious bombardment was considered sufficient by the Germans and at 06:00 hours they launched their infantry into the attack. By 07:10 hours Mont Kemmel was theirs and by 10:30 hours it was all over. The hill which had remained in Allied hands for four years had been taken by a spectacular display of brute force. Even the German airforce had joined in with 96 aircraft dropping 700 bombs and machine gunning the French positions as the Leib Regiment of the élite Alpine Corps stormed forward. This cemetery is unusual for having unknown origins, having been discovered by the French after the Armistice and contained the bodies of Commonwealth, French and German troops. Despite its name, the French graves were removed to the ossuary and the large French cemetery at Potijze, leaving the Commonwealth and German graves. The cemetery was enlarged by concentrating nearby battlefield graves and three British graves, two from a local churchyard and one from a nearby German cemetery. Also included in the concentration were more German graves found in the former battlefields by the Belgians. This French memorial erected in 1935 at Bayernwald is dedicated to Lieutenant Lasnier the 11 non-commissioned officers, 174 corporals and men of the 1st French Battalion on foot who died here between the 3rd and the 15th of November 1914. Nearby is what to the Allies was known as Croonaert Wood and to the Germans 'Bayernwald' because of the Bavarian troops stationed there - Adolf Hitler served here in 1914-1915, and was awarded an Iron Cross nearby. 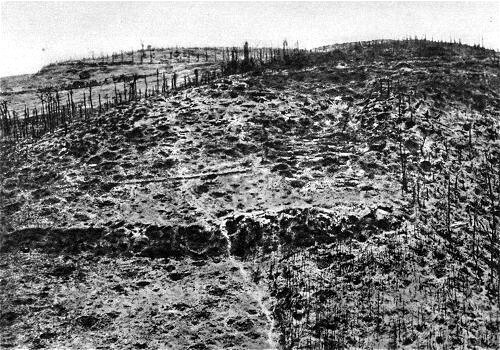 Private Hitler, of the 16th Bavarian Reserve Infantry Regiment, was lightly wounded here on November 15, 1914 whilst rescuing his Lieutenant. He painted "Painting from Croonaert" He returned here on June 1, 1940 as Leader of the German Reich.